Khanty-Mansiysk Hospital and Medi Whale Signed a Side Agreement for ‘Dr. Noon’ Demonstration – Medi-Whale Inc.
Medi Whale Co. signed a side agreement of ‘Dr. Noon’ demonstration agreement with Khanty-Mansiysk Hospital (Russia). Last December of 2017, Medi Whale have signed an agreement with Khanty-Mansiysk District for appliance of AI eye examination software based on deep learning artificial intelligence. The agreement of this December is a side agreement of the previous agreement, in which included the demonstration of ‘Dr. Noon’ in Khanty-Mansiysk District Hospital. In this new side agreement, Ugra Institution of Information Technology (URIIT) is also involved for cooperation for technical implementation. Kyanty-Mansiysk Hospital agreed to provide 1,000 patient samples in minimum following the agreement. 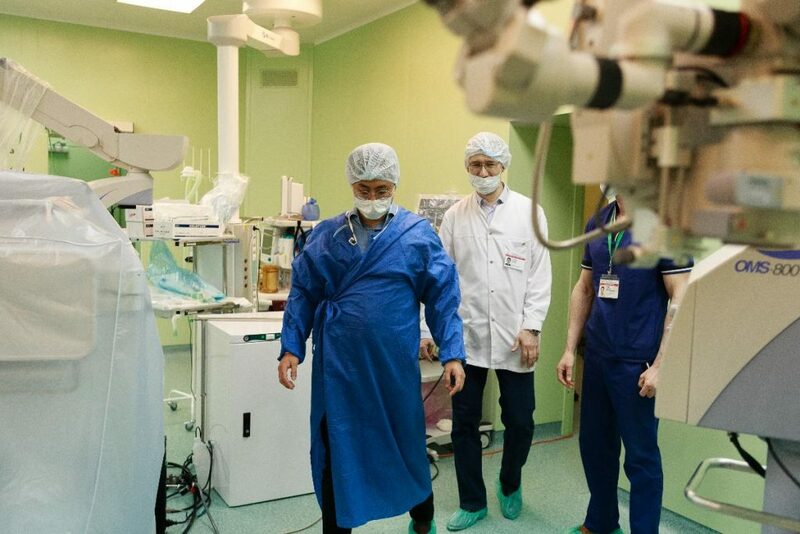 Medi Whale is planning to ensure the reliability of the product by comparing the diagnosis result from Khanty-Mansiysk Hospital and the result diagnosed by this ‘Dr. Noon’. his demonstration the first time for Korean AI eye examination product to be presented abroad. CEO Kevin Choi said ‘We are planning to expand the market of AI examination from domestic level to global level’.